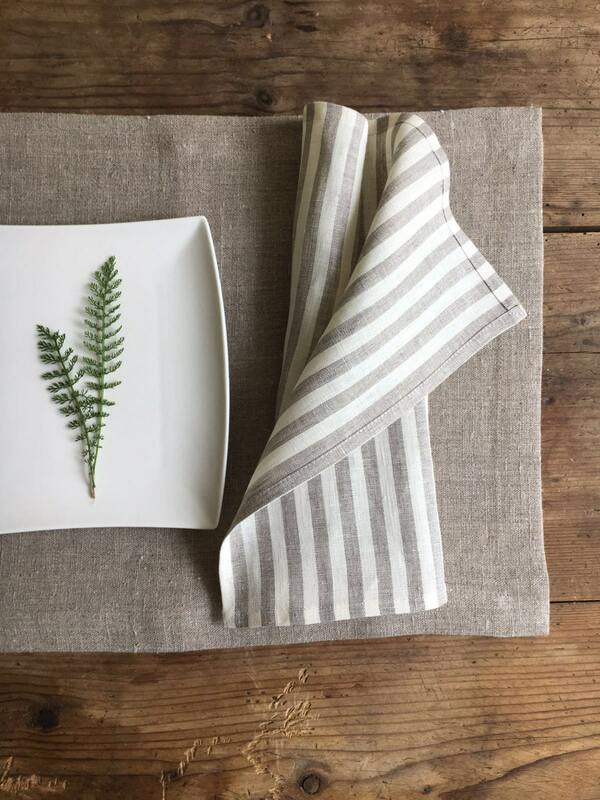 Wonderful set of pure linen placemats and matching napkins. 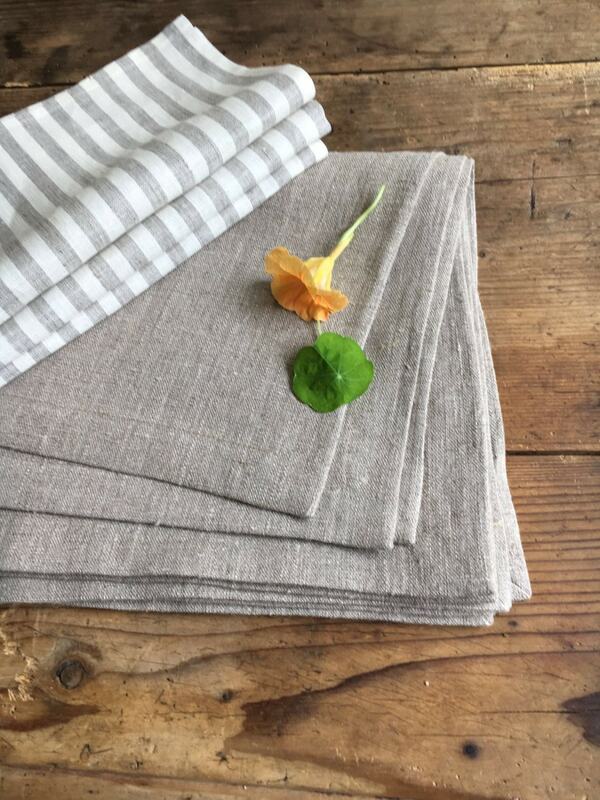 Made from 100% pure European linen. 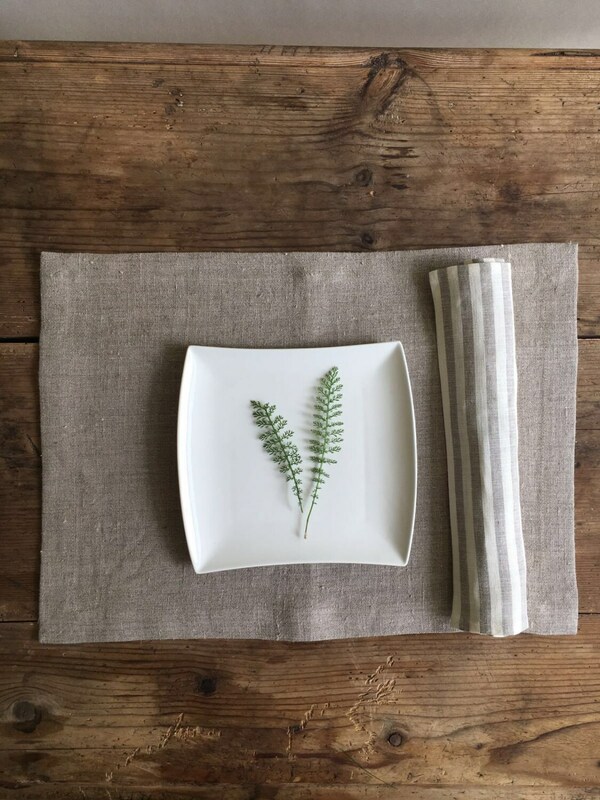 Sets come in amounts of 6, 8, 10 and 12 placemats + napkins. 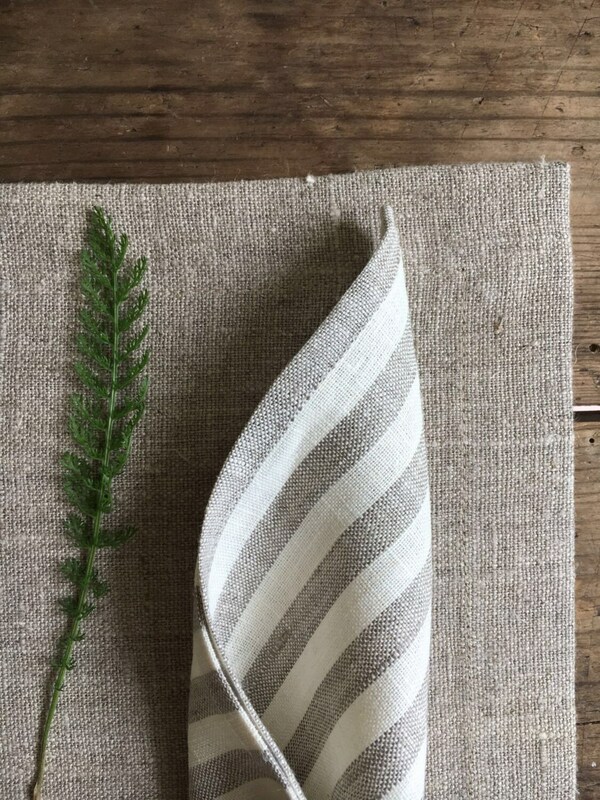 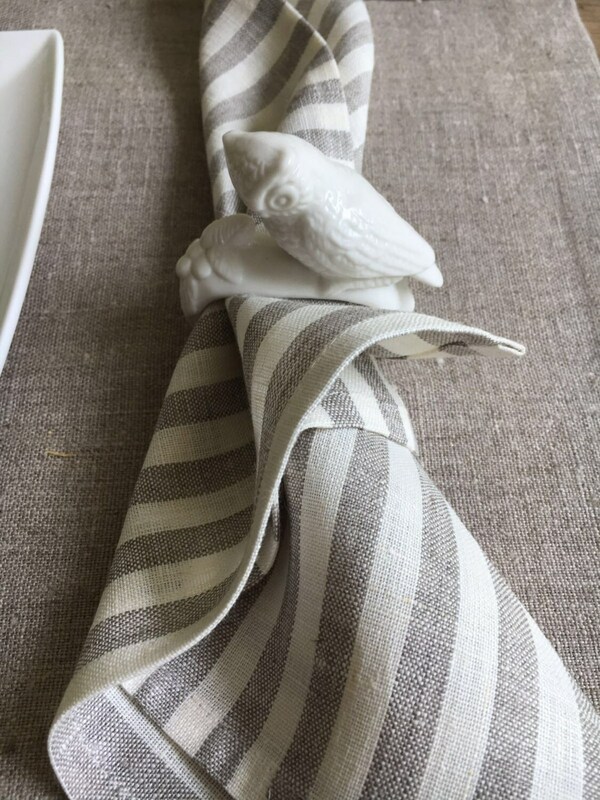 The placemats are in natural taupe (undyed linen) color and the napkins are striped creamy white and natural taupe.